Pink ruby is really a bit more purple than pink. 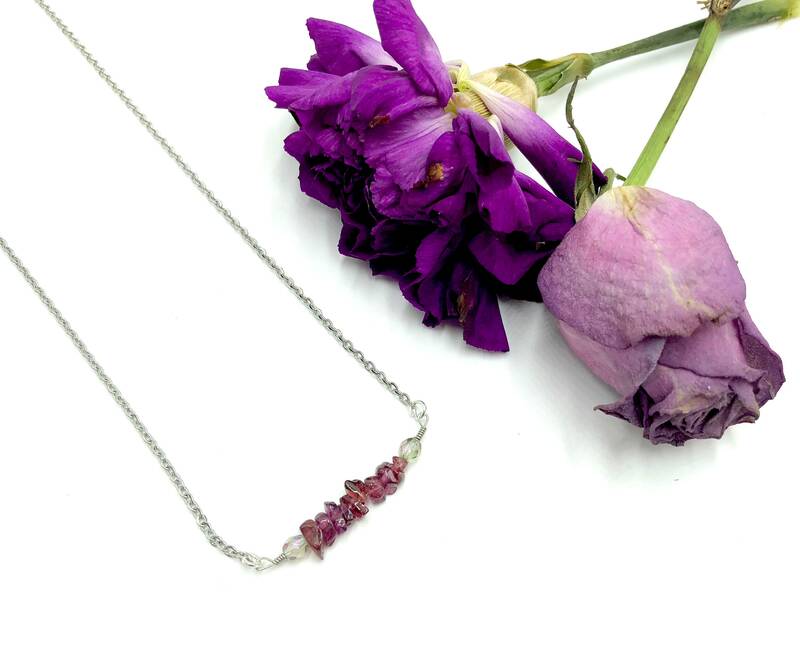 This lovely raw stone necklace is 14 inches long with a 5 inch soldered extender chain. Lead and nickel free. Stainless steel chain.